We are the family company that has been baking quality wraps around the world since 1948. Starting from an authentic recipe in the heart of Mexico we have been perfecting their softness, making them ideal for all kinds of delicious fillings. Make your lunch less ordinary- go Deli style everyday! Store in cool, dry place., Suitable for home freezing: Freeze immediately and use within 3 months. Defrost thoroughly before use. Once opened, re-close at seam and use within 2 days, Best Before: See front of pack. Cooking Instructions (General): We love our wraps warm. 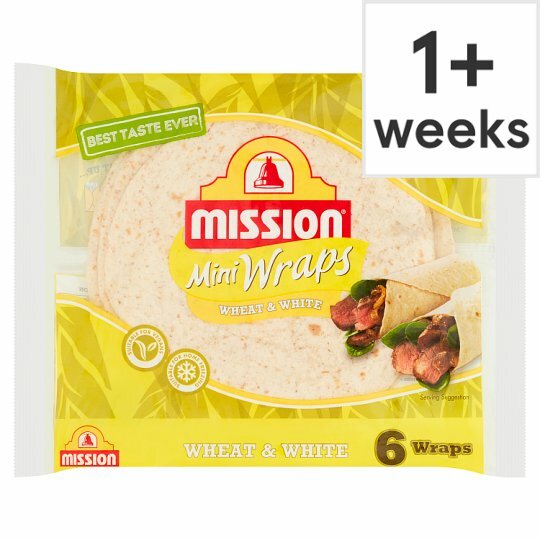 Remove from packaging and heat up to make wonderful hot wraps, burritos or quesadillas. Grill (From Ambient): Grill each wrap for 10-15 seconds each side. Place on a microwaveable plate. Heat each wrap on full power for 10-15 seconds, or the whole pack for 1 minute. Shallow Fry (From Ambient): Dry fry each wrap for 10-15 seconds each side.